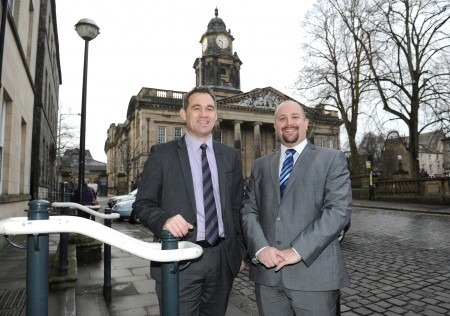 Growing North West law firm Harrison Drury has opened an office in Lancaster. The firm will be located at the CityLab building in Dalton Square in the heart of the city centre. The office will be headed up full-time by associate solicitor Brett Cooper and will provide local businesses with a full commercial legal offering. It is the Preston-headquartered firm’s second new office opening in as many years following the launch of its Kendal office at the beginning of 2013. The firm also has an office in Garstang. Brett Cooper, associate solicitor at Harrison Drury, said: “Lancaster is home to a wide array of businesses operating in numerous sectors. As the economy gets back to health and those businesses begin making plans for growth, they will inevitably need access to specialist corporate and commercial legal advice. John Chesworth, managing partner at Harrison Drury, added: “Our growth strategy has been focused on providing owner-managed and SME businesses with quality advice. We have spent the last 12-months developing and strengthening relationships with clients and other professional firms in Lancaster and believe this is a real opportunity to offer them something different. Harrison Drury has increased headcount by 8 to 40 in the last year as it continues its steady growth and geographic expansion. The business is currently going through the government’s Growth Accelerator programme for businesses committed to growing by 20 per cent year-on-year.